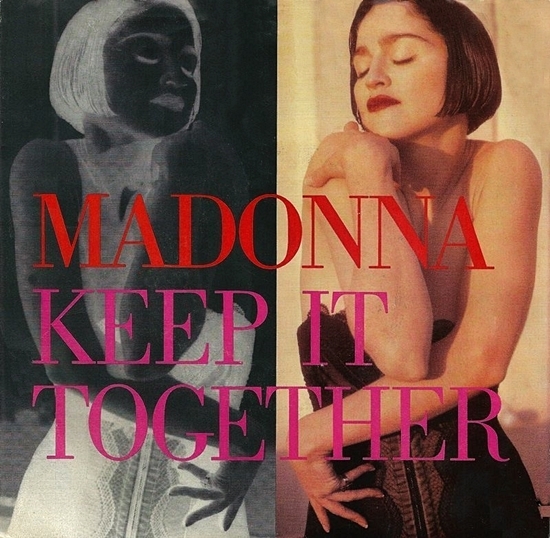 On April 11 1990, Madonna’s Keep It Together single was certified Gold by the RIAA for shipment of over 500,000 units in the U.S.
Keep It Together was Madonna’s last 7-inch single to be issued with a picture sleeve by Warner Bros. Records in the U.S. until the release of a 4 Minutes/Give It 2 Me double 7-inch set eighteen years later. 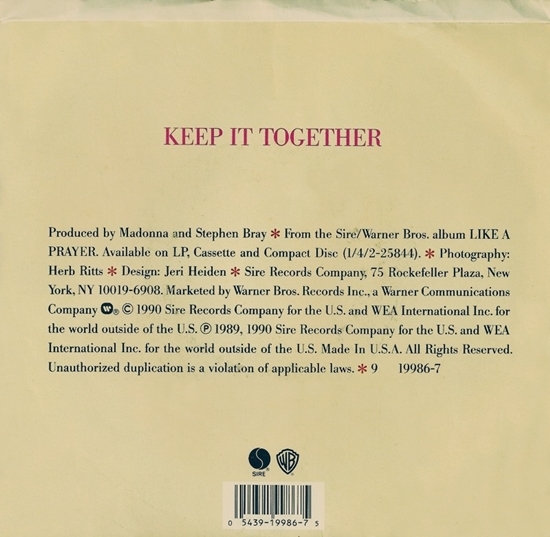 Keep It Together-a heartfelt and rocking paean to Madonna’s upbringing and Detroit roots-it runs deep for the Ciccones!-Madonna Forever in her brilliance! I’ve always loved this song.